Thomas Edison, the man who invented the modern incandescent bulb, once said “engineers will make electricity so cheap that only the rich will burn candles”. Even though his comment is of a philanthropic nature, he never would have predicted just how much it costs to power the light bulbs that illuminate our homes years later such as Incandescent and LED wattage solutions that are currently on the market. For decades, incandescent light bulbs have lit up rooms, bedrooms and hallways. But incandescent lights have some problems. They are inefficient, wasting lots of energy and have very short lifespans, especially when compared to modern LED lamps. That said, as your incandescent lights burn out, maybe it’s a good idea to consider switching to Light-emitting diode bulbs. You probably know that LED bulbs have an impressive lifespan and are very cost-effective. For example, a 60-watt incandescent light bulb will draw you more than $250 worth of electricity per year and provide about 700 lumens of light; an equivalent LED bulb draws about 12 watts of power, costs about $30 per year and lasts 50,000 hours or longer. There are only about 8,500 hours in one year — imagine how long a modern bulb would last in the average home! It’s about 6 years actually. And if you are lucky enough, a LED bulb may last you even more. Even though LED bulbs are pretty great there’s a reason incandescent bulbs and fluorescent lamps are still around. In the first place, these bulbs present to most homeowners a high up-front cost compared to other bulbs. That said, incandescent standard bulbs sell in boxes for a few bucks. On the other side, Light-emitting diode bulbs sometimes cost $50 a piece. Since there is no toxic mercury in an them, they are way easier and cheaper to dispose than other types of bulbs. Since these bulbs can be built to light up in a plethora of colors, they don’t require filters like incandescent bulbs. They are vulnerable to very high temperatures. For example, if Light-emitting diode circuitry gets too hot, more current will pass through the junction. 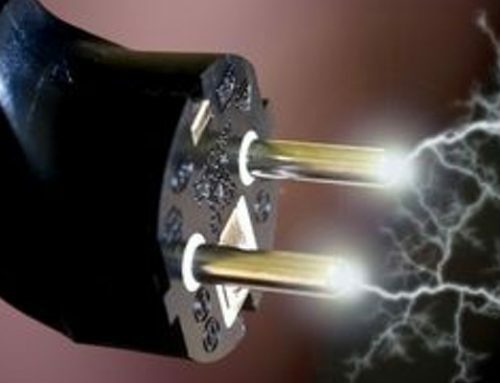 When too much current goes through this junction, it will often cause irreversible burn-out known as LED meltdown. What many don’t like about LED bulbs is that they often do not offer warm red or yellow sun-like light typical of incandescent bulbs. The difference in lighting can take some adjustments. That’s why many homeowners opt for incandescent bulbs. Incandescent are known for their warm light, which particularly looks good against skin tones. On the other hand, LED bulbs have gained reputation for casting a harsh, bluish, artificial light. But LEDs are increasingly becoming popular. Some reports have shown that the number of LED bulbs sold at stores doubled in the last year. Their popularity is definitely driven by consumers’ familiarity with LED in other products such as TV and computer monitors. There’s a huge for Light-emitting diode market as the price of these bulbs has also gone dramatically. Some manufacturers offer them for as little as $10. As the cost continues to drop, LED bulbs will become the default light source.